Elon University announced Feb. 24, 2018 that Payne would be stepping in to fill the role of head coach. Now it's time to see if he can continue his tradition of winning with Elon. The Phoenix scored most points in a game in last five years in grudge match with Paladins. Elon University's women's soccer team fell to the University of North Carolina at Charlotte 49ers at Rudd Field on Thursday night. With a 2-0 loss, Elon fell to a 2-2-3 record, and Charlotte improved to 4-2. Bronte's hat-trick leads the way as Phoenix down Rutgers on the road 8-1. 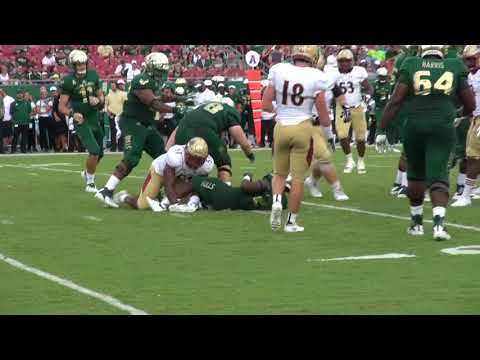 Elon football showed that they came to play this year, despite dropping their first contest of the year on Saturday while visiting the University of South Florida. The Elon University football team found itself outmuscled and outmatched in Raymond James Stadium Saturday night. The University of South Florida rolled to a 34-14 victory behind a pace that proved a handful for the FCS visitors. The Phoenix takes on an FBS opponent tonight in Tampa. Volleyball wins in first intercollegiate contest held in Schar Center. While some institutions are placing focus solely on athletics for their student-athletes, Elon has been able to strike a key balance, winning on the field and in the classroom. Shay Burnett’s new team in Sweden, the Norrköping Dolphins, announced that the five-foot, nine-inch guard joined the squad. Since Alumni Gym closed its doors to athletic competition on March 1, 2018 to pave the way for the new Schar Center, the future of the space has been widely speculated. Larry Mellinger, the Director of Campus Recreation and Wellness, has some answers. Elon University women’s hoops will tip-off their season against the University of North Carolina Tar Heels at the newly constructed Schar Center arena. The Lady Phoenix will play three days prior to the men's basketball team, who will also face UNC at home. Kara Shutt '18 was drafted in the 12th round (pick 48 overall) by moh-BEEL! USA. The outfielder being drafted marked a historic moment in Elon history. Shutt is the female student-athlete to be drafted to a professional league.